MIAMI, Oct. 31, 2018 /PRNewswire/ -- Carnival Corporation & plc (NYSE/LSE: CCL;NYSE: CUK), the world's largest leisure travel company, today announced that the U.S. Patent and Trademark Office (USPTO) has issued the corporation three patents protecting 46 intellectual property innovations for OceanMedallion™, its wearable device that powers the breakthrough guest experience platform behind MedallionClass vacations on its Princess Cruises cruise line brand. U.S. Patent No. 10,037,642 has been issued for OceanMedallion, which contains a proprietary blend of communication technologies including Near Field Communication (NFC) and Bluetooth Low Energy (BLE), as well as other non-disclosed capabilities. 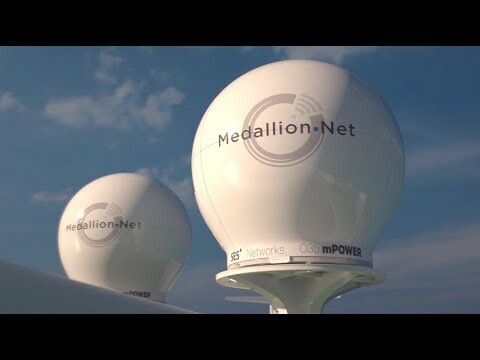 The Medallion™ device communicates a cruise guest's unique digital identity with an intelligent shipboard network to provide crew members relevant information about each guest to enhance guest-crew interactions and deliver a high level of personalized service on a large scale. The device enables all aspects of an elevated guest vacation including hassle-free payment; keyless, personalized stateroom access; frictionless embarkation; on-demand services and more. The OceanMedallion activates a travel industry first with an Experience Internet of Things™ (xIoT) platform – the focus of the company's second patent (U.S. No. 10,045,184) – to connect physical and digital experiences onboard. The guest-centric approach helps maximize the vacation experience in real-time based on guest choices and preferences as well as real-time Experience Intelligence™. The xIoT platform features an invisible network of thousands of interactive intelligent sensors and embedded devices mounted throughout the ship, as well as select ports, linking individual guest and crew devices, shipboard software and hardware as well as synchronized cloud computing to form a unified guest experience platform. Carnival Corporation's third patent (U.S. No. 10,049,516) has been awarded for its smart door portal solution that leverages NFC, BLE, proximity, capacitive sensors and cameras to allow guests to seamlessly and securely access their stateroom without the need for a room key or room card. The door portal system also features external smart touch-display screens to deliver personalized guest interactions that recognize guest identity attributes such as brand loyalty levels and celebratory occasions. The proprietary door portals also provide conditional crew access and multi-stateroom access capabilities. "This level of innovation is unprecedented in the cruise and broader travel industry and reaffirms our commitment to develop solutions that deliver the very best vacation experience possible for our guests while leveraging the scale of our company," said John Padgett, chief experience and innovation officer for Carnival Corporation. "To have our inventions recognized by the U.S. Patent Office is a tremendous source of pride for the entire company. It also sends a clear signal that we are leading the vacation industry in developing innovative solutions for personalizing the guest experience on a large scale to an even higher level. That is an exciting evolution for us and, more importantly, an exciting enhancement for our guests looking to make the most of their precious vacation time." MedallionPay™: All guests use an easy and hassle-free, payment experience enabling crew members to focus on guest service interactions. JourneyView: On portals throughout the ship, guests can access a real-time look at their itinerary, along with events and activities taking place during their cruise. OceanView™: Guests can stream more than 100 hours of award-winning Ocean Original travel content – which airs nationally on weekends on ABC and NBC - to their smart device anywhere on the ship at no cost. PlayOcean™: On portals located shipwide, guests are able to play family games, including trivia, word jumble, a matching game, and Ocean Treks Adventure – an interactive, shipwide digital scavenger hunt. Caribbean Princess now also features Carnival Corporation's MedallionNet™, offering guests Wi-Fi connectivity that is fast, reliable and affordable with an access point in every stateroom. Guests on MedallionClass ships experience land-like connectivity for streaming sports, movies, music and videos, communicating on video phone calls from anywhere on the ship, and sharing their vacation experiences in real time with friends and family back home on social media platforms.